Sails are an expensive part of a sailboats inventory, costing thousands apiece. As such, they warrant a modicum of due care and attention. Wherever one goes, one will see boats where the headsail has been furled up with a triangle showing. It is assumed that there is some aesthetic reason for the skipper doing this. Then there is the lazy furling job. 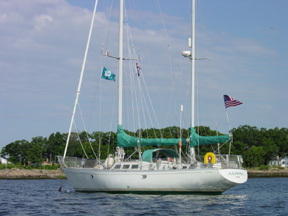 The headsail is furled, but the sheets are left loose. Even though it may be thought to look good or perhaps seaman-like, the problem is that in either of these scenarios, the wind can and will catch the sail. 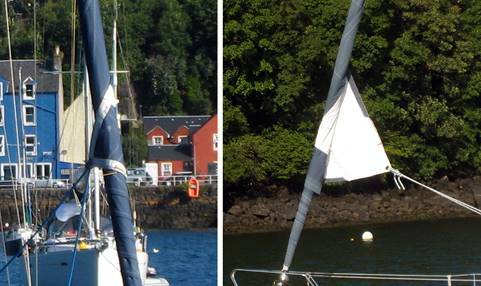 It does not the even require a particularly strong wind for the headsail to become partially of even completely unrolled. The resulting flapping can and will cause catastrophic damage. 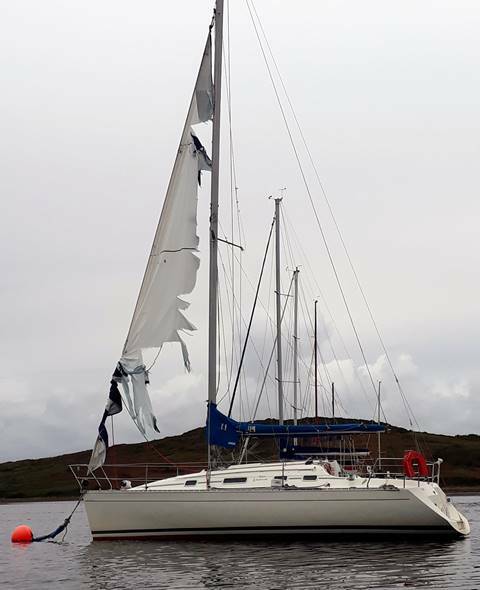 In the case of the above boat, not only was the headsail completely shredded beyond repair, but the flogging headsail ripped the radar dome and steaming lights off the forward part of the mast. 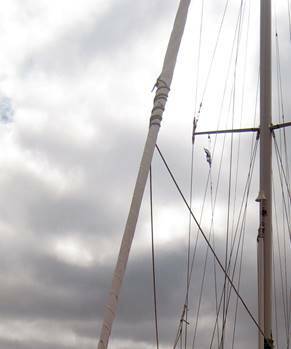 The alternative is, of course, to fully furl the headsail and then give it a few more turns, tightly wrapping the sheets around the headsail. With the furling line properly cleated and secured, the sheets can be pulled tight. The result is a secured headsail and a seaman-like look.